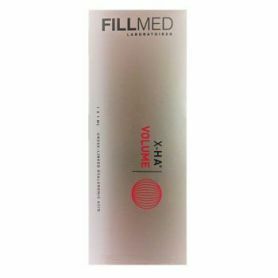 High concentration of FREE non cross-linked hyaluronic acid and versatile 18 mg/ml with high molecular weight. 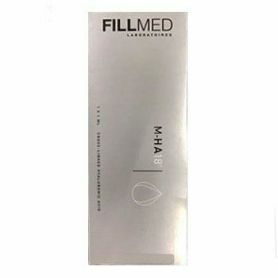 FILLMED® M-HA 18 is a dermal filler intended for replenishing the loss of hyaluronic acid due to aging. Used the superficial dermal tissue, preferably deeper, to improve tone and elasticity of the skin and/or to act as filler for small lines such as crow’s feet, smile lines, or smoke lines surrounding the mouth. THE MICROFILLING SOLUTION WITH HYALURONIC ACID FOR FINE LINES AND SUPERFICIAL WRINKLES. MHA-18 is a medical product designed for use in procedures that aim to offset age-induced loss of hyaluronic acid, improve skin tone and elasticity, and fill small lines. Hyaluronic Acid FREE non cross-linked and versatile 18 mg/ml with high molecular weight. 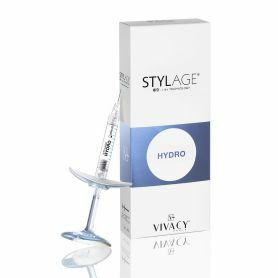 The new solution for microfilling with free hyaluronic acid. Hyaluronic acid helps to hydrate and plump the skin from within, and it also acts as a powerful anti-oxidant. Improving hydratation, radiance and elasticity of the skin: face, neck, decolletage, hands. 1 x 1 ml prefilled syringe. 2 x 30 G1/2 needles. Filling fine lines and fine wrinkles (eye contour, peri-oral lines). Redensify skin tissues. Preventing the apparition of fine lines. Intensely hydrating dehydrated skins. Improving skin tonus and elasticity. Improving skin radiance. HA origin Biofermentation- No animal origin. Thanks to glycerol, well-know for its hydrating and anti-oxydating properties, m-HA18® is indicated for hydration of dehydrated skin lack of tonus. M-HA18 can be injected on the face, neck, decollete and back of the hands. 3 to 6 sessions spaced out by 1 month. Maintenance session every 6 months. 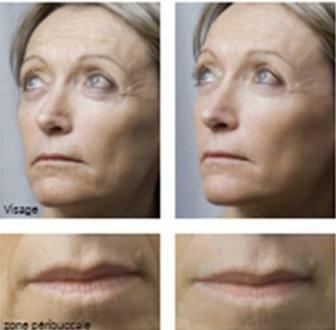 Alone or in combination with dermal fillers and NCTF mesotherapy injections. FREE HA WITH high molecular weight. Recreate a moisture reservoir. Restores moisture balance. Moisturising. Stabilises HA and increases its moisturising potential. Natural results. M-HA18® has an optimal viscosity allowing to avoid over-corrections. Redensificaton and micro-filling m-HA18® allows ti microlift with injections slokenning areas. Extreme protection and hydratation. FILORGA's hyaluronic acid is produced using biotechnology. It is purified in several stages, to ensure optimum quality. Our products are world-class, developed by a scientific committee of internationally renowned experts (physicians, pharmacists, biologists, cosmetologists). FILLMED by Filorga prides itself on providing cutting-edge non surgical anti-ageing solutions that include line fillers, polyrevitalising injections (NCTF®), peeling and photo-stimulation (LED), Cryotherapy and FILORGA skincare. FILLMED by Filorga has rapidly understood the benefits of combining products and techniques to optimise outcomes. The complete medical range has given to the brand the right and strong credibility to become the expert in combined therapies.